What people eat as a regular part of their diets is a sometimes overlooked area of a country’s culture (in the broadest sense of culture). Although my musings on Canadian culture have gravitated principally toward arts, music, literature, history and places, I’ve written occasionally about aspects of Canadian consumables (for example, Tim Horton’s, ice wine and Labatt beer) and have observed a number of other things about Canada’s food culture about which I’ve been mulling over sharing some comments. 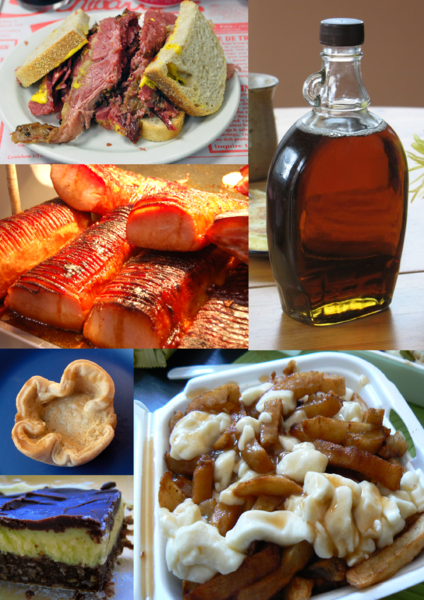 So, for the month of March I plan to organize comments on O’Canada around the theme of food and see where that leads. Among the topics being cooked up (very bad pun intended and which I promise to leave behind) will be Tim Horton’s (again), milk bags, poutine, maple syrup, Kraft mac & cheese (a/k/a Kraft dinner) and some of the best Canadian food blogs. Bon apetit!